The Rockwood Jr. 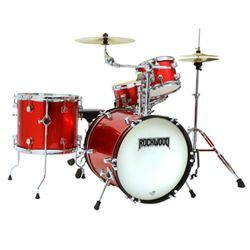 Drum Set is perfect for the young rocker! It features wood shells, metal rims and tuning lugs, just like a full- size set. It also includes a brass crash/ride cymbal, snare stand, and bass drum pedal.